A native of Houston, TX, Tamika L. Stigers seemed destined for greatness. By age 3 she was enrolled at Cresmont Kiddie College where she excelled so fast that the Director of the school advised her parents to enroll her in Magnet programs. Tamika continued her education in Houston, TX graduating from Jesse H. Jones Sr. High School at the top of her class. She continued her education at one of the top Colleges in the nation, Texas A&M University, where she received her Bachelor of Science Degree in Political Science and Speech Communications. After graduation, Tamika began a successful career in Human Resources where she has worked for such top companies as Shell, Kelsey-Seybold Clinic, and Mercer HR Consulting. 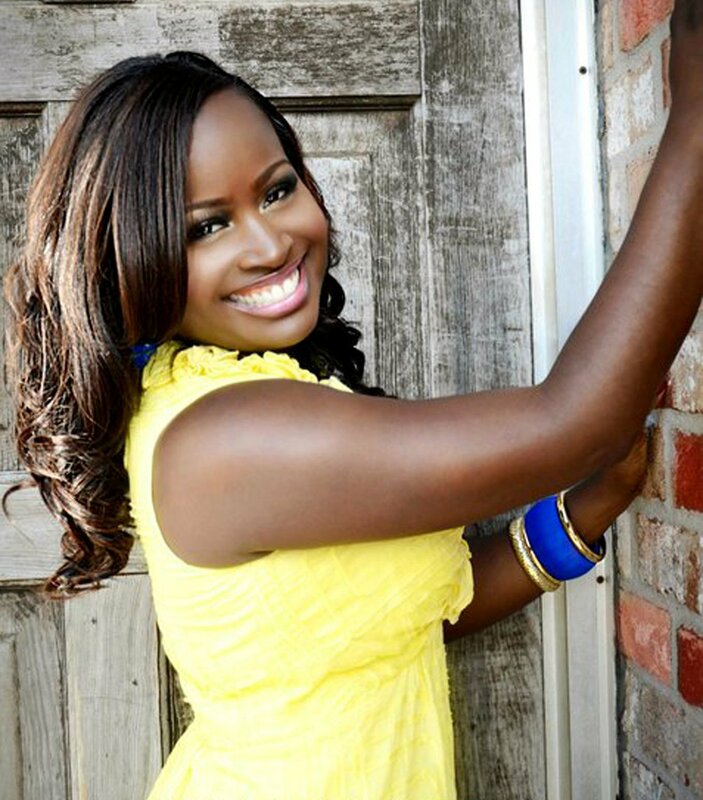 Tamika next discovered that she had a purpose far greater than a career in Corporate America. She wanted to motivate, inspire, and encourage people to be better and live more abundant, positive lives. Her creativity and passion for inspiring people led her to become the Owner and Designer for her own line of t-shirts called Posilive. Tamika’s passion to create positive t-shirts started when she walked into a local mall with the desire to buy a cute t-shirt. Frustrated that she could not find a single shirt with something positive on it, she went home disappointed. She refused to wear something that was negative because she realized that words are powerful and we have the ability to speak our destiny into existence, good or bad. It was then that she decided that, not only was she going to create positive tees for herself, but she was also going to share the fabulous positivity with the entire world! Tamika has been successful at branding her Company, Posilive to be the next brand with a purpose to take over the fashion industry. She is definitely on her way to fulfilling her purpose to inspire people to be greater! We interviewed Tamika for this edition of women entrepreneurs and here are her responses on life and her business! The quote that always puts a smile on my face and is my absolute favorite comes right out of the bible. Jeremiah 29:11 For I know the thoughts that I think toward you, says the LORD, thoughts of peace and not of evil, to give you a future and a hope. I love this scripture because it reminds me, that, no matter how things look or how I bad I might “perceive” things to be, my future is a future of peace, blessings, and hope! Posilive t-shirt line was created for men and women of all ages. Our desire is to powerfully spread positivity with our t-shirts! Of course! I had no idea how I was going to start a company and so many questions…where would I get the money, would people like my designs, would people actually buy the t-shirts? Where do I even get blank t-shirts? LOL! We all have fears of starting one thing or another, the key is to go for it one step at a time! I actually used my own money to get started. We started with 1 t-shirt, The Beauty Tee and it sold out within the first 2 weeks! It’s been our most popular, best selling tee! The biggest way that the word spread really fast when we first started is word of mouth! Since then we have done really well with marketing through social media. We have close to 10,000 connections on Facebook (my personal page and the fan page combined). We’re currently growing on Twitter as well. We’ve also participated as a vendor at various fashion shows, trade shows, conferences, and our models have walked in fashion shows as well. With our models, make-up artist, photographer, filmographer, and anyone else that we work with, our motto is The Golden rule. I treat people the way that I would want to be treated in business. I’ve seen a lot of things as a customer on the other side that I would and wouldn’t do, and it’s helped me to see customer service and the way I treat people in an entirely different light. I would say my biggest struggle as a business owner is to live the life that is portrayed on the t-shirts! LOL! Posilve is a t-shirt line that is all about a positive way of life, and I have to be honest, there are days that I do NOT feel like being positive, but it definitely helps when I look down and have on one of my t-shirts and I’m reminded of whatever it says on there. It reminds me of the reason that I started the company in the first place, because I wanted to be better, I wanted to be more positive, and that makes this walk just a tad bit easier. About 1 year after I started Posilive, I start recording video blogs to encourage people to stay positive. I had no idea what I was going to say or how it would develop. All I knew is that I was tired of constantly seeing so much negativity being shared over the internet airwaves. I wanted to do my little part to show people that we can live positive lives! My heart is filled with so much joy when I get a message from someone saying, “You know what. I really needed to hear what you had to say.” Or when someone stops me at an event and says, “I was really encouraged by your last video blog because I was dealing with the same issue.” Or when I get a phone call and the person says, “Thank you for reminding me to be positive.” To me, that makes every single part of this journey worth it! I have to constantly remind myself that life is all about balance. I have discovered, in recent years, that “no” is not always a bad word. I constantly look at what I have on my plate and if it is too much to add one more thing, I don’t. We can’t be a help to anyone or ourselves if we have a million things going on, but not paying attention to any of them. Believe in yourself! I know that seems very very simple, but sometimes it is hard to do. There will be people to tell you your dream is stupid. They will ask you why you just don’t get a job like everyone else and just live your life. They will give you every reason in the world of why it won’t work. If you believe in yourself and your ability to accomplish your dreams and also believe in your dream itself, there is nothing that can stop you. It will be frustrating at times, but you have to keep pushing forward. Know that it won’t be easy. Know that it won’t happen over night, but also know that when it does start to happen, it will be one of the best feelings you have ever had. I would also say, GET STARTED!!!! LOL! A lot of people like to wait for whatever reason. “I’m going to wait until I get more money. I’m going to wait until I quit my job. I’m going to wait until I have enough products to sale. I’m going to wait, wait, wait.” DON’T WAIT! I started my company with 1 t-shirt on a Myspace page….remember them. Yep, 1 t-shirt. I had a lot of other designs that I could have WAITED to put out before I started my company, but I would have still been waiting to this day. You have to go for it! If your dream is to be a singer, sing one song and put it on Youtube and pub the mess out of that one song! LOL! If your dream is to be a fashion designer, make one design and sell it to everyone who will buy it from you! Just don’t wait! Thanks for sharing Tamika’s story with all of your fans and featuring her on your website https://www.shalenadiva.com! You’re awesome! I had no idea that Tamika was so intelligent! Her acdemic background truly impressed me! I admire her for finding her passion. I can’t wait to buy my shirt! By the way, I LOVE your favorite quote! It’s one of my favorite scriptures. I really loved this interview! It was so encouraging! It IS my favorite scripture 🙂 LOL! I’m glad you liked the interview and that it was encouraging. I hope it’s encouraging for your fans as well! I’m sure it is! Go, girl!